Commended for his “highly intellectual” and “holistic” musical approach, Sam Brown’s performances have become much loved for their imagination and diversity. Taking up the guitar at 13, Sam’s first studies were with the inspirational Sasha Levtov at the Regis School of Music in Bognor Regis, where he was consistent winner of the School’s Best Achieving Student Award. 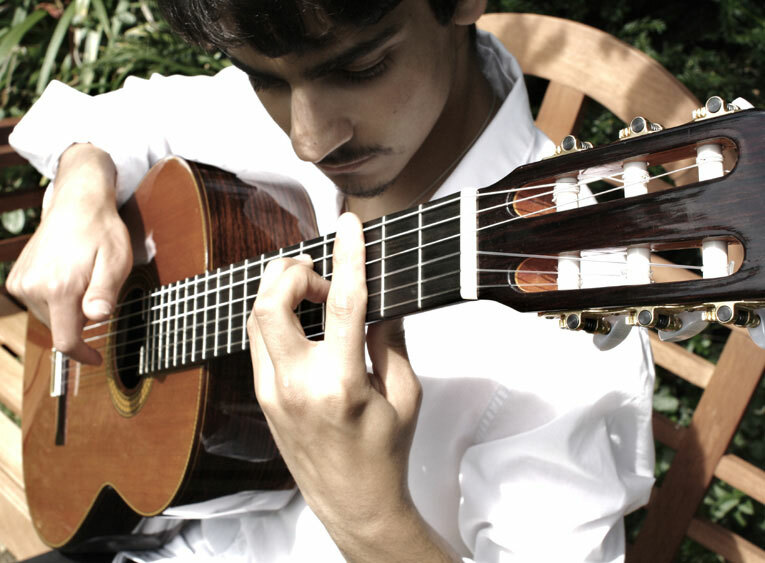 Sam furthered his studies under bursary at the Junior Royal College in 2011, and the next year enrolled at the Royal College of Music in London, where he studied the guitar under Charles Ramirez, and renaissance lute under Jakob Lindberg. 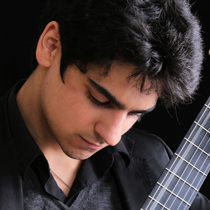 He graduated in 2015, and since took a year of study with Lorenzo Micheli at the Conservatorio della Svizzera Italia in Lugano. 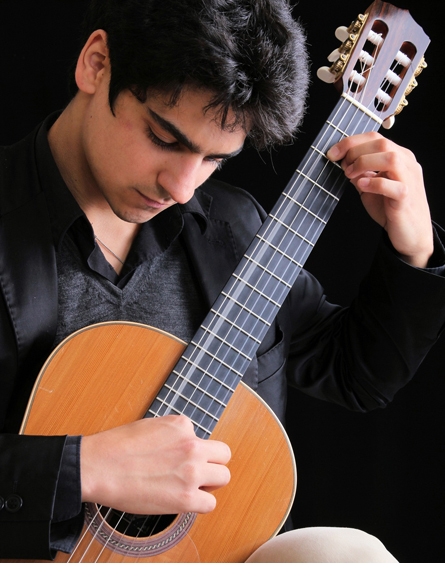 Equally guitarist and lutenist, Sam has performed internationally for such diverse disciplines as Elizabethan theatre and contemporary art installations, and is in demand as a soloist, recitalist and accompanist on both instruments. Sam is passionate about music education, working frequently with children, and he has a special love for the music of the English Renaissance. Sam was made an Honorary Member of the West Sussex Guitar Club in 2012. 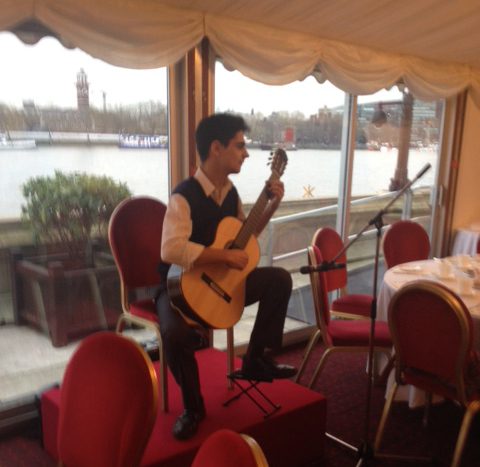 Sam Brown in concert at the Cholmondeley Room, House of Lords, 26-11-2015.